This entry was posted in New Product or Package-Press Release and tagged collaboration, Cross-cultural communication, cross-cultural skills, Cultural Detective, diversity and inclusion, Education and Training, global business effectiveness, global diversity, Intercultural Communication, intercultural competence, multicultural society, teams, teamwork, virtual teams by Dianne Hofner Saphiere. Bookmark the permalink. Ecotonos has always been a great tool and this revised look is beautiful. Your continue to “create” yourr way into cultural excellence. Thanks Dianne. I am thrilled that so many people use the simulation in many creative and powerful ways, Donna. Our products are similar to children: after we launch them, they take on a life of their own. Love to you, girlfriend! Dianne, I will be training a group Koreans who all hope to get assignments in the U.S. As a tool, how does this work with an all-Asian group? 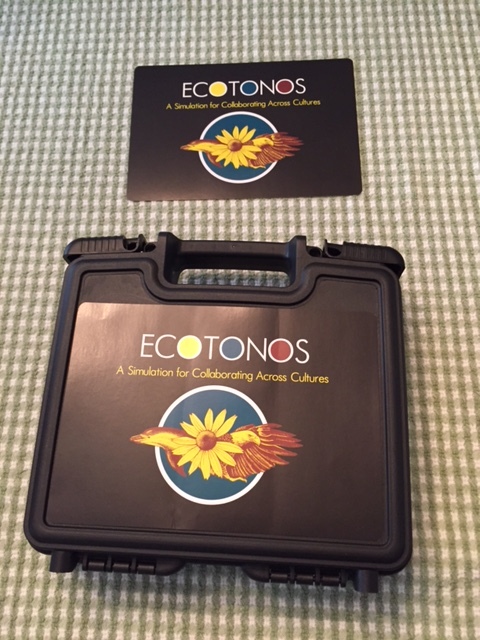 Ecotonos is quite often played in many different countries in Asia. I heartily recommend it, Michelle. Please take pics if you can and let us know how it goes! Wow! thanks for the speedy reply! Ok, next question – where can I get more information about the game? I need to understand the “objective,” how the game is played, etc. Hope that helps! If not please give us a call. Thanks!